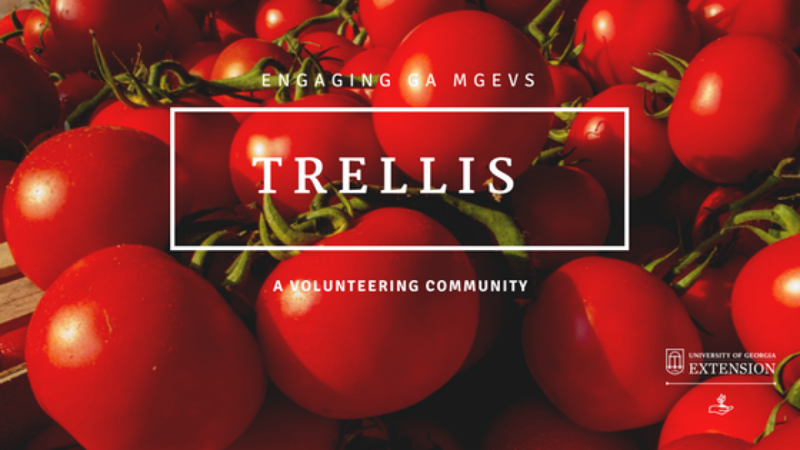 In Troup County, Master Gardener Extension Volunteers (MGEVs) have been involved with the Junior Master Gardener (JMG) program for over 15 years. The program has been present in seven different schools and has served 326 children. In 2016, Troup MGEVs focused on teaching students at Rosemont Elementary School. At Rosemont Elementary School, the JMG program was carried out as an afterschool program that took place once a week. Started by a retired teacher, this project blossomed into a successful educational program. 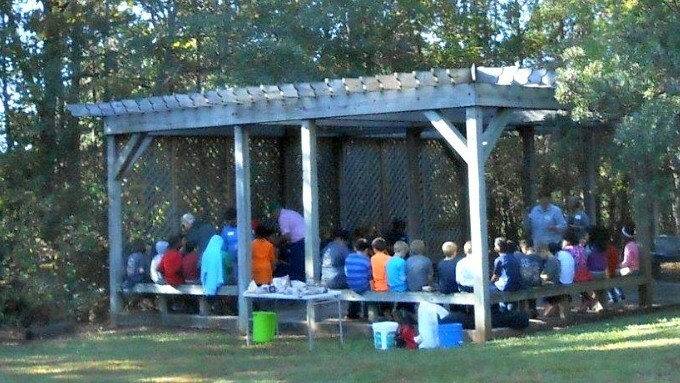 Children participating in the program built two raised beds. They filled the beds with vegetables, herbs, and flowers to learn about good gardening practices. They learned about soil, how to plant seeds and transplant plants, how to weed a garden, water it, cover it to prevent frost damage, and how to harvest the fruits of their labor. To celebrate what the children had learned during the JMG program sessions, salad bars were hosted in May and December. The children picked, washed, and served to family and friends the products of their efforts. On Honors Day, Rosemont Elementary recognized the children who participated in JMG. Positive results of participating in the JMG Program have sprouted outside of the school setting. A former JMG student started a community garden at Rosemont Baptist Church with the help of MGEVs. This location is just down the street from the school and is accessible by the community. Furthermore, to date, at least 5 participants in the JMG program in Troup County have chosen careers in horticulture or related fields. Troup MGEVs have plans to extend JMG. They plan to use the garden at Rosemont Baptist Church as an outdoor classroom to reach youth in the community through JMG and MG SPROUTS programming. 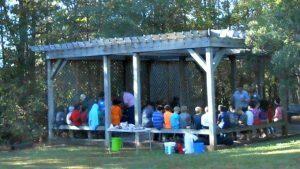 In addition, MGEVs have continued to benefit Rosemont Elementary by using a Charter Fountain grant to restore an outdoor classroom. Children in the JMG program enjoyed learning about the trees and wildflowers in this area, and Troup MGEVs will be working in 2017 to further restore the area so that it is available for further educational use. *This Troup County project was featured as a 2016 Project Spotlight. To learn more about the project spotlight process and other MGEV projects around the state, go here and here. Posted in Leadership, Projects, Training, Volunteering. This entry was tagged youth. Bookmark the permalink.